Description: This blog will help you to understand Computer and Network Log Analytics. What is computer security logs? What are the different security logs category? What a log file ? Logging is the process of keeping a log. 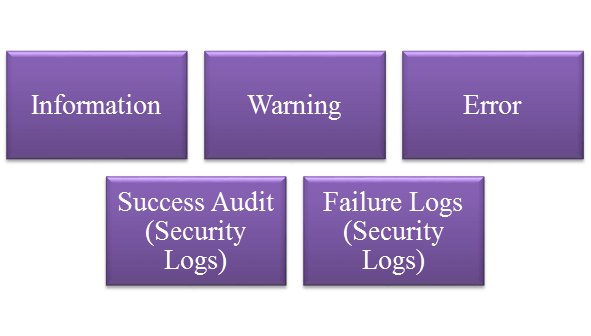 Logging can help technical people for the maintenance of applications or websites. Operating System Logs: – Logs of Operating system, Server, Workstation, Network devices. Security Software logs: – Logs of network & host based security software. Operating system logs are most beneficial for threat identifying or investigation suspicious activities involving a particular host. Event Logs: – Contains data about operational action performed by Operating systems component. Audit Logs: – Contains successful event information such as successful & ailed authentication attempts, file accesses, security policy changes & account changes. Events that are written to the application logs are determined by the developers of the software programs. This is very important logs from investigation point of view. Linux process accounts track the commands that each user execute. Application Log: – Any event logged by an application. These logs are structured by the developers while developing the application. System Log: – Any event logged by the Operating System. Security Log: – Any event that records about the security of the system. Directory Service Log: – These logs are transacted of Active Directory. This log are primarily accessible to only on domain controllers.